To be more precise, it is about 70%. This means that most of the planet speaks several tongues to some extent. Mostly these are children, youth and people under 45 years old. Did you notice how cleverly the youngsters go from one tongue to another? They can leave any adult in the dust. Just now the child has spoken English and immediately has switched to German, completely ignoring the reaction of others. In this article, we will tell you why it is great to be bilingual and how this can be useful in life. To ensure that your homework do not distract you from the fascinating reading, order an essay on essaylook.com. First, let us look at the definition of bilingualism. Bilingualism (Latin "bi" – "two" + "lingua" – "language") – fluency in two languages (native and non-native) and their alternate use in everyday life. This is a very important feature that should be taken into account as many study and 2-3 foreign tongues at once. Does this make them bilingual? Unfortunately, no. After all, bilinguals do not just know other languages, they equally well speak both native and foreign ones. It is when a person equally applies to two tongues that are subject to him or her in everyday situations, he or she can be called bilingual. What Are the Types of Bilinguals? There are two main types of bilingualism – natural and artificial. Let us give an example of natural bilingualism. To date, mixed marriages are quite common, and children in such international families are immersed in a bilingual environment since infancy. They simultaneously learn two different languages in an absolutely natural way. Most often, this system works if each parent communicates with the child in one tongue: so the child gets used to the sound of two completely different tongues. Of course, this does not mean that only parents of different nationalities can grow bilinguals. If a mother or father knows a foreign language at a high level, they also have the opportunity to create an appropriate environment for bilingual development. As for artificial bilingualism, we can meet it almost everywhere. With artificial bilingualism, a person simply learns a foreign language, acquires the necessary speech skills and abilities. However, the native tongue of such people will forever remain the one they first learned. They will also use it in everyday situations, resorting to the help of the learned one only if necessary. This is the fundamental difference between these two types of bilingualism. Even 50 years ago, few agreed that the mastering of several languages is useful, but today scientists came to the conclusion that bilingualism makes a person not only more adaptive, but also helps him or her successfully exist in the necessary mode of multitasking in our day. In the days of Nazi Germany, one tongue was welcomed, so there was no question of developing the desire to learn foreign ones. However, today everything has changed: more and more people are ready to learn two tongues at the same time, and scientists argue that bilinguals not only have a more developed brain, but they can perform various tasks much faster. The brain of such people increases in volume, the density of gray and white matter increases, and the number of neural connections grows. All this affects health and increases longevity. However, we will tell you about this a little later. If you speak several languages, you have noticed how difficult it is to switch from one tongue to another, especially after a long break. Those who regularly "change the radio wave" and switch between tongues, thereby constantly train the brain departments responsible for various linguistic skills, thus honing fluency, attention, concentration, self-control. Scientists note that foreign languages are given very easily for children aged 6-7 years – all thanks to special perception mechanisms. Children do not fix attention to grammar or vocabulary, they perceive tongue as a means of communication. It is important to remember that diving is one of the best ways to perceive a large amount of information simultaneously. It is interesting that adults who learned a second tongue in childhood can easily recall it, making minimal efforts. Why does the phenomenon of bilingualism arise? First of all, because all the countries of the world interact in one way or another: remember international trade, migration processes, student exchange, etc. Every second inhabitant of our planet studies at least one foreign language in order to be able to discover new countries, get acquainted with representatives of other cultures and traditions – in a word, expand horizons. No wonder they say: "The new language is a new world". More and more European countries are becoming multilingual: for example, Switzerland has four (!) official tongues, and in many Austrian cities, the "main" ones are Hungarian, Croatian and Slovenian at once. The truth is that it is not uncommon for the language of teaching in the educational institutions of a particular country to differ from the one in which students speak at home. This is also one of the prerequisites for the emergence of bilingualism. If bilingualism was considered mostly an obstacle in the study of languages in the last century, nowadays this is rather an advantage. True bilingual always has both tongue systems in the active state, even if the speaker uses only one tongue. The key myth about the dangers of this phenomenon is connected exactly with this: supposedly the first language hinders the development of the second one and vice versa. However, this opinion has already been refuted. After conducting several tests of groups of bilinguals and monolinguals (people speaking only one tongue), psychologists came to the following conclusions about the benefits of this phenomenon. This is because a person can simultaneously support the activity of both languages, that is, concentrate on two different things at the same time. A person, who knows how to concentrate, rarely makes mistakes and more often achieves the goals set. Such people are extremely attentive. Knowledge of two languages helps a person develop mother wit and creative thinking. By the way, most of the universally recognized authors and creators were bilinguals. 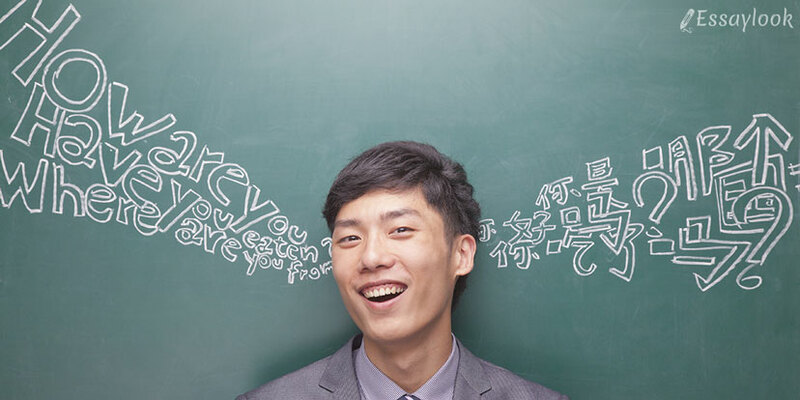 Learning a foreign tongue is the best way to train memory. According to the results of the study, monolinguals are able to remember, on average, up to 5 new words a day, bilinguals remember twice as much. As we have already said, a person "exercise" his or her memory precisely when learning foreign languages. It should be mentioned that the experience of this phenomenon has a beneficial effect on the brain throughout life. The higher the degree of bilingualism, the better a person speaks any tongue, the stronger his or her resistance to such old diseases as dementia and Alzheimer's disease is. Do you want to stay in full possession of your senses? Learn the languages! Since such people are very attentive, they are also observant. They are easier to cope with planning cases, solving everyday problems, analyzing difficult situations. Such person thinks in an orderly manner, sets goals clearly. When you know two tongues, learning a third one is not worth the trouble. Such people better remember new words, they also have good grammar knowledge, they are perfectly oriented even in complex constructions since they already had experience in learning tongues. Having the opportunity to speak two languages, bilinguals have great social connections. After all, in fact, they combine the characteristics of two different nations. It is easier for them to grasp the subtlest shades of the meaning of foreign words, to perceive the realities existing in one culture and absent in another. Therefore, the communicative skills of such people are more developed. Studying a foreign tongue, you also get access to a foreign culture with its originality and traditions, and eventually become a part of it. In turn, this makes you more tolerant of cultural differences and identity, allows you to join the multinational collectives at ease. And here bilinguals have a double advantage. Ignorance of traditions often leads to alertness, because people in front of you seem completely different from you. Foreign tongues lift the veil of the incomprehensible, unknown and unfamiliar, and thanks to them, we can easily adopt a different mentality, the life of people dressing and thinking differently. Other habits do not mean strangeness. Other behavior is just something with which each of us is little known. Getting knowledge, we become more open emotionally and socially, we perceive people as they really are, which means that we are developing along with what is happening around ourselves. Such people are well versed in human emotions precisely because of their knowledge of languages. As you know, in English, there is a great variety of synonyms, and, depending on the context, we can choose different options. For example, when translating from some tongue to English, the word "joy" can be regarded as gladness, cheer, mirth. All these are different facets of one and the same feeling. So, bilinguals are able to more accurately comprehend their emotions. Such people have a strongly marked ability to filter information: to perceive the essence and to filter out unnecessary. They can communicate with representatives of other nations. They are able to quickly navigate in any situation. They are more receptive to everything new. Useful skills, is not it? Most foreign employers in prestigious companies also think so, so many of them prefer to hire bilingual employees. It would be wrong not to mention a few controversial points relating to bilingualism. As a rule, they concern those who are just stepping on this path: children. After observing such kids, the teachers came to the conclusion that many of them begin to speak later. This is due to the fact that they need to accumulate the required vocabulary simultaneously in two languages, which, you will agree, will seem to be a difficult task even for an adult. At first, children do not have a vast vocabulary, but it is possible to correct this with the forces of parents (and teachers), and, as a result, the growing bilingual will be able to impress with his or her knowledge of two languages at once! It can also confuse that, at first, a kid will mix words from two languages. To avoid this, a child should hear the correct foreign speech as often as possible, but not less than half of the time. In most cases, by the age of 3-4, the baby begins to realize the difference between tongues. It is important to understand that people who speak several languages have more flexible and universal thinking, because each tongue is a special system that allows thinking differently. Thus, it is possible to express thoughts with the help of a huge number of nouns in certain languages while in English we are sometimes quite severely limited by the need to use the verb. All this sets a certain imprint on the way of life. It is interesting that the model of human behavior can directly depend on the tongue. As you can see, learning the English language brings you incomparable benefits, and the advantages of bilingualism clearly prevail over its shortcomings. Bilinguals can be called truly "multitasking", and this is a huge plus for the active pace of modern life. Rated 4.5 | 131 votes.